A huge country in Eastern Europe, Poland has seen some changes in its time. 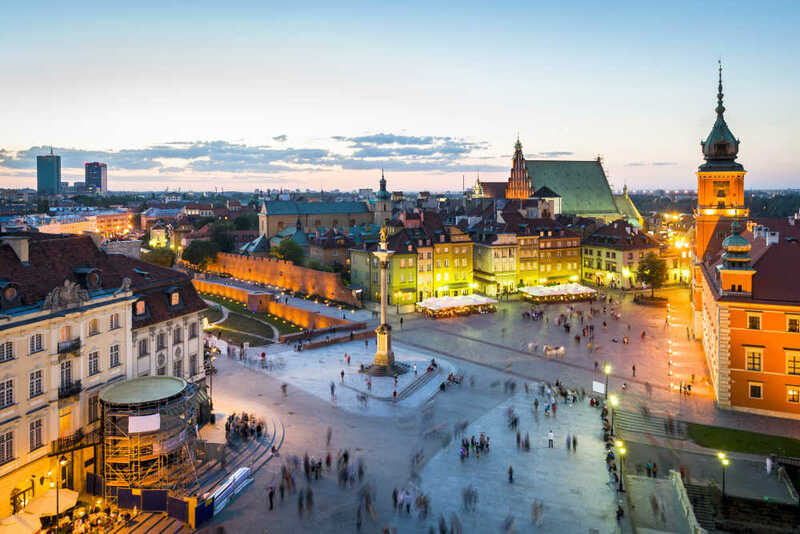 The same is true of the capital of Warsaw, as this city is much sought after by travellers wanting to delve deeper into its fascinating history and culture. Warsaw is the main airport for all of Poland, offering not only flights to Warsaw but beyond as well. For most flights Frederic Chopin Airport is used, though it is more commonly known as Okecie Airport. There is a separate terminal for discount airline flights to Warsaw. The average price for a flight to Warsaw is £ 153. The month with the cheapest flight to Warsaw is June. The most frequently chosen airline on Budgetair.co.uk for a flight to Warsaw is Lot Polish Airlines. There are various airports that offer flights to Warsaw. The cheap flights are from London Heathrow. The average price for a last minute flight to Warsaw is £ 205. The most popular airline for the last minute flights to Warsaw on Budgetair is Brussels Airlines. The month with the cheapest last minute flight to Warsaw is June. There are various airports that offer last minute flights to Warsaw. The cheapest last minute flights are from London Gatwick. How much does Warsaw cost? If you are planning a trip to Warsaw you may want to know how much Warsaw is going to cost you. Check below average expenses on meals, clothes, transport and more to get an idea what your budget should be! Do you want to know when is the best period to fly to Warsaw? Here below you can find average temperature and level of precipitation for every month. Booking your cheap flights to Warsaw with BudgetAir.co.uk ensures a safe, reliable and easy way to plan your trip. With our easy to use website, safe booking system and a large selection of hotels to choose from, you won't have to worry about a thing when you choose to book your holiday with Budgetair.co.uk.